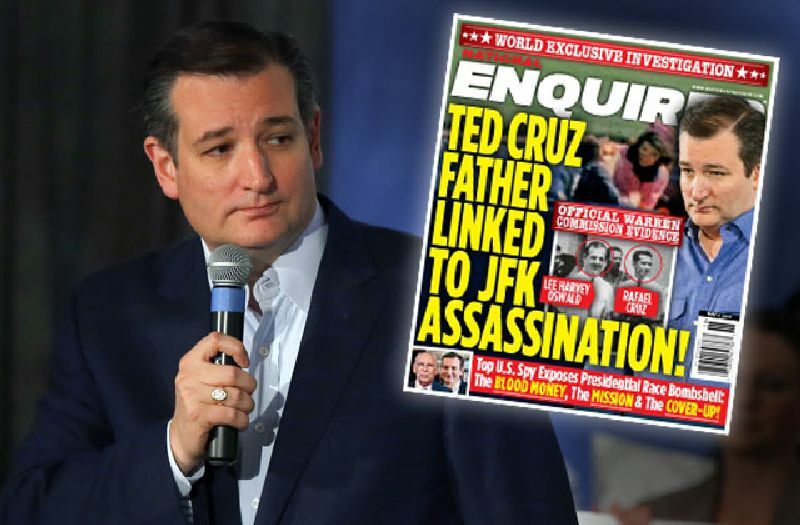 Vital Remnants: The lyin' guy whose father helped assassinate JFK and whose wife is a bimbo didn't endorse #Trump. Go figure. The lyin' guy whose father helped assassinate JFK and whose wife is a bimbo didn't endorse #Trump. Go figure. That the Trumpites who are all up in arms about Ted Cruz not explicitly endorsing Trump last night did not expect Cruz say exactly what he said (and didn't say) is a measure of just how fatuous is Trump's support. But why is everyone so surprised? 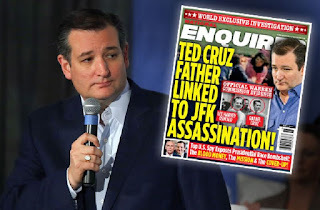 Trump nicknames him “Lyin’ Ted,” argues he’s a Canadian ineligible for the presidency, retweets an image mocking his wife’s appearance and suggests his dad had a role in killing JFK, and never apologizes for any of it… and the Trump team is surprised Cruz didn’t endorse him? Either the people booing were naive (a tendency common among many of Trump's supporters) or it was disingenuous. And the only thing worse than the common run of naive or insincere Trump supporters is those current Trump supporters who were formerly Cruz supporters who now profess to be ashamed of him. After all, if I have give up my principles so that my party can "win," why doesn't Cruz do it? Wednesday night is going to be one of those nights that political junkies talk about for a long time. Ted Cruz’s decision was bold, reckless, politically stupid, brave, principled, divisive, gutsy and vindictive, all the same time. If you’ve spent the last couple years complaining that all politicians are spineless hacks who only follow the weather-vane and refuse to stand on principles, you’ve got no reason to complain this morning. I agree with all of that except the part about political junkies talking about this for a long time. Political junkies don't talk about anything for a long time. They have very short attention spans. They're a bunch of Dories who can hardly remember what happened last week, let alone a year ago. This will be virtually forgotten after next Sunday. Two weeks tops.